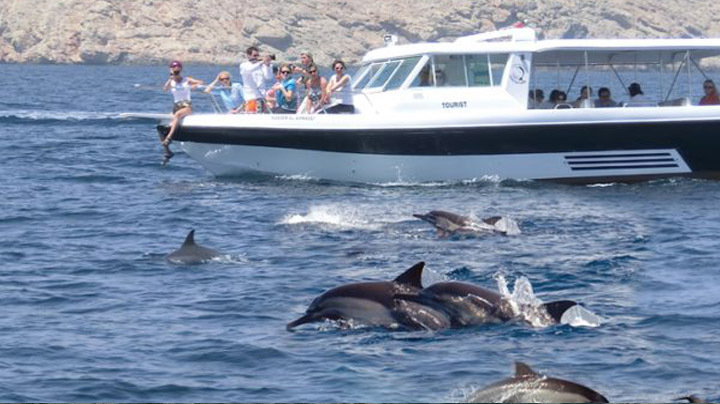 Ahlan Arabia Tours make your dreams come true with double the pleasure of watching dolphins and snorkeling by combining the two! Regular visitors are bottlenose dolphins, common dolphins, spinner dolphins and Rissos dolphins along the coast in Oman. After seeing these beautiful cetaceans unwind by snorkeling in the crystal waters in nearest snorkeling sight. Coral beds provide homes to an exotic variety of fish that are a pleasure to be hold. Catch the timeless magic of tropical fish in a real life situation.